She loves to play, to run, to be in the arms, even becoming a PLAYGROUP GREETER pup until she caught the shelters cold and given 18 hrs to find a home - or die. Here's another look at sweet AUDREY..her family has not come for her and she needs help now. Please SHARE, she's SO precious She need a FOSTER or ADOPTER NOW. Thanks! 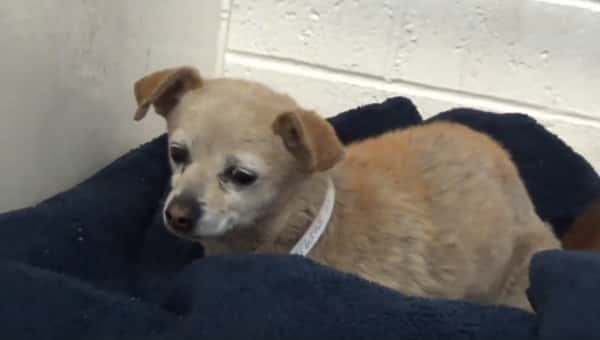 #A5156508 My name is AUDREY and I'm an approximately 4 year old female Chihuahua. I am not yet spayed. I have been at the Carson Animal Care Center since 3/7. I will be available on 3/11. You can visit me at my temporary home at C217. 1 Response to "Audrey given another day to find a home - or die. her family has not come for her"